SolarPowerPools.com | Put the sun to work for you! We sell complete Solar Systems to take your MOST EXPENSIVE APPLIANCE off the electric grind. & instruction manual for DIY'ers. Can easily save you 400 kWh every month. 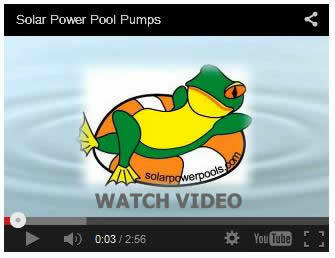 SolarPowerPools.com is your source for clean, green power with cost-efficient, solar-powered pool pump solutions. With our environmentally-friendly solar pool pumps, the system can circulate pool water from sun up to sun down for FREE - saving money every month and the climate every day.